In our state, the government is in the process of passing news laws governing orphanages. ALL orphanages in this state (we have heard that there are at least 100 in Baja California!) will be affected by these new regulations, and all will have to make updates and changes to comply with these laws. The regulations cover everything from staff training requirements, fire safety, restrictions on visitors, changes in how kids are accepted, and more. At TCM, Seth Gomez, has been working with other orphanage directors and Congress in an effort to make sure the final version of the law which passes is good for the kids. Meanwhile, our staff is working hard on making sure our facilities and other things are all in compliance. If you would like to help us with costs of these updates (which will improve fire safety, among other things), let us know! 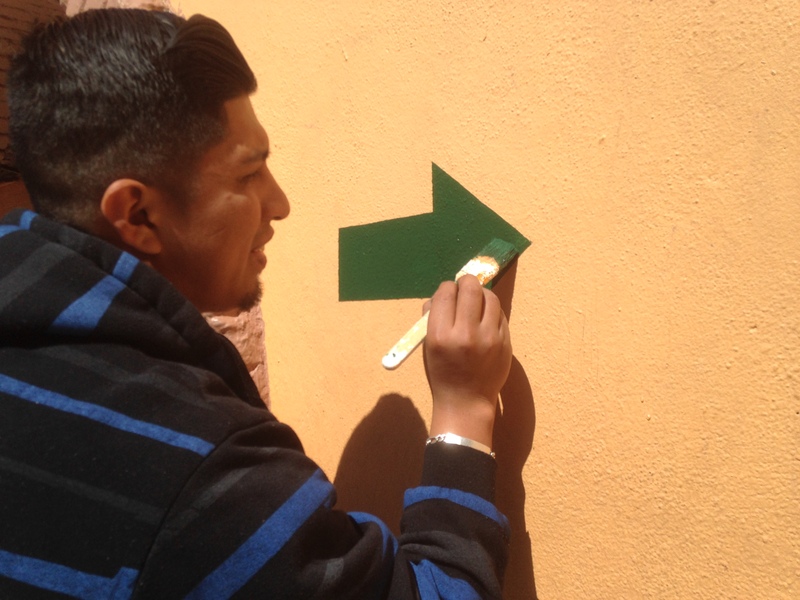 Here Josue is painting the required exit arrows and signs!